← Internet Explorer 11 crashes after installing updates? 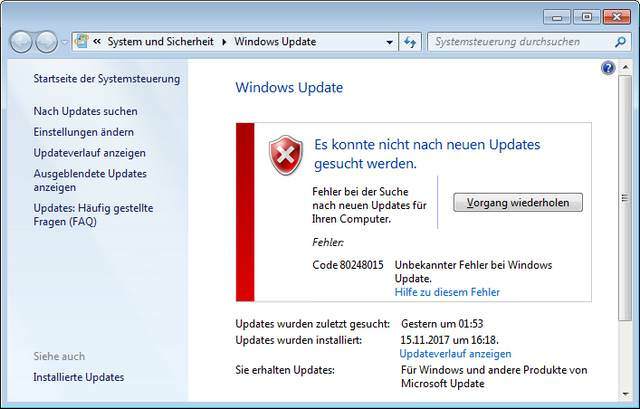 [German]Microsoft has successfully killed Windows Update search in Windows 7 SP1. Since December 4, 2017 Windows Update search stalls with 0x80248015. Here are a few details and some workarounds. I am an enthusiastic (daily) reader of your IT blog. This is very helpful, especially when it comes to MS updates. Since today I have the problem that the Windows Update function seems to be corrupt on ALL Windows 7 machines I am maintaining, because the service is supposedly not running. According to “ReportingEvents. log”, the search or sync of the update client still worked yesterday on all computers. Not since today. I tried to repair an update agent on a computer using MS Tool: Result – the update search is working again, but shortly after it terminates with the following error code:”Code 80248015 – Unknown error on Windows Update”. Maybe this would be worth an own article on your site? Can you also detect the error on your systems? After reading his mail, I decided to do a short check on my Windows 7 production machine. I received the following error message after a few seconds. Error 0x80248015 has been dropped, and I see the information, that the last update search was on December 3, 2017 01:53. 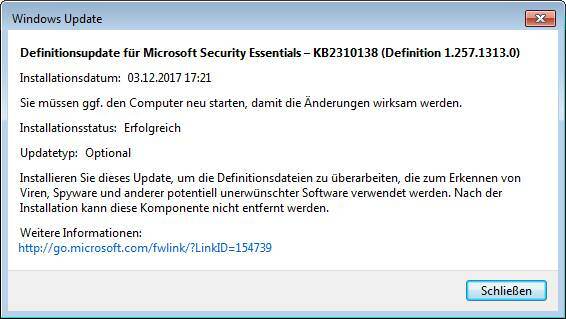 The update history showed me, that a definition update KB2310138 for Microsoft Security Essentials has been installed as a last update. Could that be the root cause? What stands the error for? Before I begun to repair my production machine, I decided to boot a 2nd machine with Windows 7. A netbook that hasn’t been used for weeks was my test candidate. After booting, I received the update message shown below. Windows Update could not search automatically and informed me, that I shall start update search. Clicking the search button ended with the dialog box below. The information says, that the search is not possible because the service is not running. Exactly what the blog reader told me within his mail. It is also not possible to display the update history. A restart is useless. My first idea was, that something like a certificate has been expired. So setting the data to a previous day may help. After doing so, Windows Update was indeed able to search again. There is a thread in MS Answers forum where the issue has been discussed also. It’s Microsoft’s fault. Well done. Addendum: Lawrence Abrams has published this article at Bleeping Computer, decribing a few background details, why the update search fails. Blog reader Ralf Lindemann left a comment within my German blog, supposing, that the revised .NET-Framework Update KB4049016 (2017-11 Security and Quality Rollup for .NET Framework…) for Windows 7 messed it up. The WindowsUpdate.log in Windows folder showed some failures after installing this update. But this is just coincidence. Because I checked my netbook, that hasn’t been booted since weeks. .NET-Framework Update KB4049016 isn’t mentioned within WindowsUpdate.log. The most simple workaround, some users testet: The change the system date back to December 3, 2017. Then the file mentioned above is valid and update still searches for (old updates). But this workaround may has some other implications – from certificate issues up to auto time update. 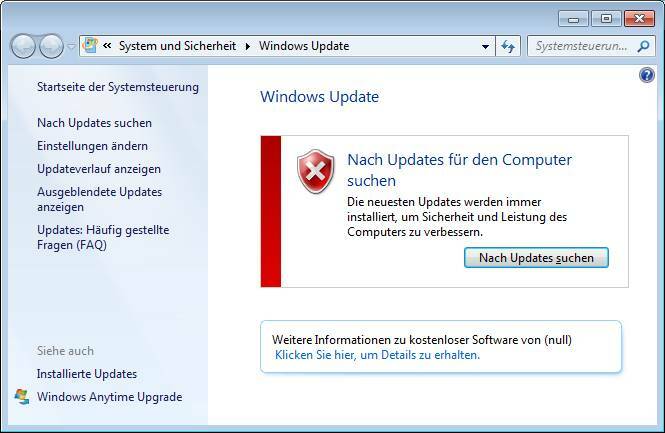 The a German blog reader left a comment, saying: Just go in control panel to the update settings, and uncheck Give me updates for Microsoft products …. update Windows (see below). I tried that, and voila, my Windows Update client was able to search again for updates. Thanks to my blog readers for support. Hope it helps to same some admins some extra work today. Note: After unchecking the option Give me updates for Microsoft …, Windows will remove the two lower options ‘Microsoft Updat’ and ‘Software notifications’. 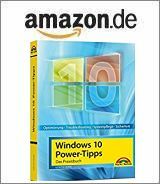 I’ve published a while ago a German blog post Windows 7/8.1: Optionen fehlen in Windows Update – Teil 1 – where I explain, how to get those options back. But overall: Microsoft has messed it up and they have to fix that mess. I’m only able to deliver some workarounds. And Microsoft Security Essentials stops receiving updates. BTW: I’ve posted an article within the MS Answers forum and escalated it to all moderators. Let’s hope, they will forward it to Microsoft’s developers. Overall my suggestion is: Just wait, until Microsoft release some kind of hot fix to bring Windows Update back to life. Windows 10: What are ‘Feature on Demand’ Updates? This entry was posted in issue, Update and tagged 0x80248015, Error, issue, Update, Windows 7. Bookmark the permalink. When I removed the check mark as stated, I received notice that opting out will result in the inability to obtain any updates. That kind of defeats the purpose since I, and apparently thousands of others , cannot receive updates due to the expiration date. Will have to wait for someone at MS to fix this problem. I have the same problem on W7 pro since the last November 2017 update x86 computer. However, I don’t see the four tick boxes you show, I only see the top two tick boxes, nothing below. No Microsoft update box or Software notifications. Thank you for your solution – unchecking “Give me updates for Microsoft products …. update Windows” works! – to get to Control Panel > All Control Panel Items > Windows Update > Change Settings, I had to temporarily falsify the system date to older than 3 December 2017. Otherwise I was faced with a blank screen. – on returning to Control Panel > All Control Panel Items > Windows Update > Change Settings, there are now only 3 available questions, not 4 as previously. The question that I unchecked 10 minutes ago has vanished! After the unchecking as described above, Microsoft Security Essentials updates were no longer being applied (unless manually requested from within MSE). I have re-installed MSE. Outcome is that all questions/checkboxes are now showing at Windows Update > Change Settings, including No Microsoft update box and Software notifications. Worked for me! thanks much for the info! It works for me too!!! I’m much obliged. Also causes Windows Explorer to reset. 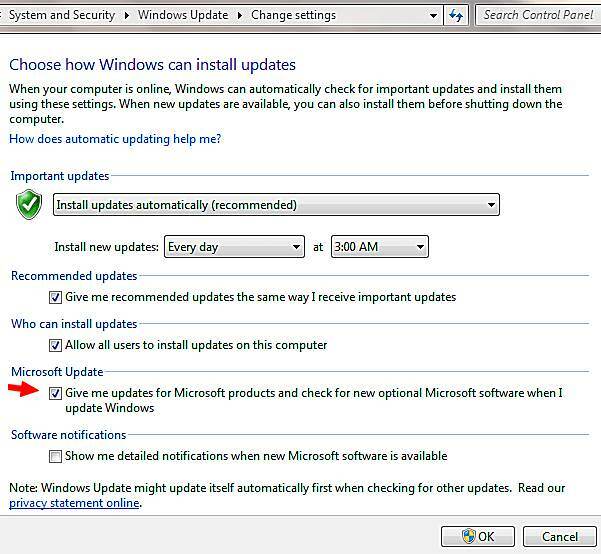 “go in control panel to the update settings, and uncheck Give me updates for Microsoft products …. update Windows ” worked like a charm for me. Thanks. Well, I followed your lead and it did upload a file for today Dec 4th. I hope it conitinues to work!! Thank You for your research.. it works. I set it to check for updates and let me choose and this setting also now works. Worked for me. Thanks very much ! Thank goodness I found this article, thankyou ! ‘Give me updates for other microsoft products’ is there a way to do this via group policy? I was able to successfully run the December patch. So looks like the issue is not widespread and probably still happening to the users. “Changed the Windows Update setting to ‘Never update’”. I had a hunch that this might work. Your input gave me the courage to try it. Having entered “Never Update”, I went to the manual search for updates option, and after a minute it had found 4 Important Updates, which are now being installed as I type. I am now considering keeping the “Never Update” option and then checking manually on the second Wednesday of January. Glad I was able to help. I have selected the option ‘Check for updates but let me choose whether to download and install them.’ That way you don’t have to check manually and you have the option to decide whether or not to install update. Thanks RH, it worked. I had a hunch in the same direction but did not have the courage to experiment. I used the manual search for updates and it seems to have installed 4 important ones. (I run the same OS on a laptop). When the second Wednesday of January comes I suppose I could use the same approach again if no fix has been made by MS.
Why is my message being moderated !? Because I receive daily a massive amount of comment spam – so first posts are beeing moderated. Thanks for running a useful blog, guenni. I tried the method of disabling updates and it worked like a charm. Thanks for solving the problem in such a simple way!! Please, and what can I do if I have changing of update settings forbidden by domain administrator? JL, Better talk to the domain admin. If the computer is not getting update it should be their concern as well, so should be able to help. You don’t have to wait for Microsoft. Just open the Problemsolver (configscreen) of do a search for problem solver in the startmenu. Under system and security click on Solve problems with Windows Update. Click next and after some checks click to open Windows updates. That’s all folks! Thx for the tip – that’s doing the trick indeed! It’s very interesting that downloading the diagnostic tool provided by MS online (“WindowsUpdate.diagcab”) couldn’t fix it (at least in my case), but the manual start of the onboard tool as you have described does it. Glad I could help you with this annoying M$ bug ;) Strange indeed that their tool didn’t work as you would expect it to be. But hey, there is always a better way! Have a nice day. C:\Windows\SoftwareDistribution\ReportingEvents.log file is the 3/12/2017 day when the problem came. All is come back as well. BUT, I didn’t spent time to read all of these posts, I want to know if it’s noraml to have an empty list of installed update. And how to retrieve the full list like before ?